7:00 AM – Wake up. Shower (personally I shower in the evenings, but others are morning shower-ers), get dressed, brush your teeth etc. 7:15 – Wake up your kids. Get them out of bed (this is the tricky part, especially with the older kids), make sure they get dressed (no pj’s at breakfast please! ), use the bathroom etc. 7:45 – Send your waitress/waiter down to the dining hall (a different kid each day) – they will set your table and clean up after the meal. 7:55 – Everyone meets in front of the office. Raising of the flag and any messages for the day will be given out. 8:00 – Breakfast. Sit with your kids and make sure they actually eat something. Breakfast consists of cereal, toast, yogurt, fruit, pancakes, bacon and other hot variations depending on the day. 9:15-10:05 – First activity period. The kids go off to their activity and you go to wherever you are teaching period 1. 11:15-12:05 – Third activity period. Same as above. 12:10 – Return to your living section. The kids can change out of wet swimsuits and get ready for lunch. 12:15 – Send waitresses/waiters to the dining hall. 12:30 – Lunch. Like breakfast, you will sit with your kids and eat lunch with them. 1:00-1:25 – Store and Oval time. Oval is like playtime or recess – all the kids can hang out and play together and go to the camp store to buy camp merch or extra snacks. Make sure you also get involved with the kids and don’t just hang out with other counselors (not counselor clusters please!). 1:30-2:30 – Rest hour. 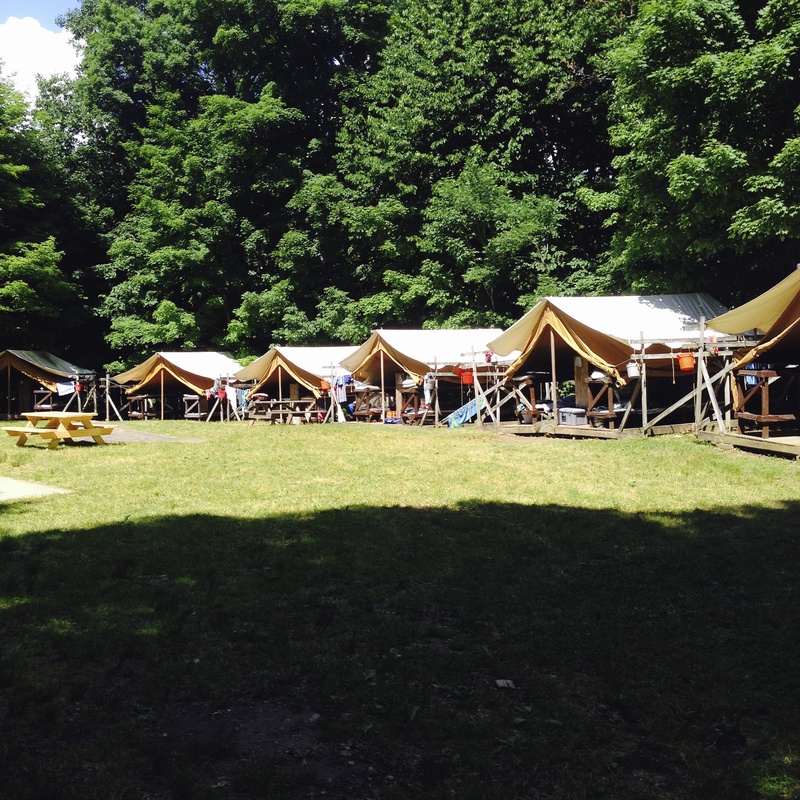 This is where you go back to your living section and relax and talk quietly with your kids in your tent (yes, we live in tents). Encourage them to write letter home (you can do the same too!) or read a book. Anything quiet and restful goes. This is also when the campers will receive their mail. 2:40-3:30 – Fourth activity period. Make sure your kids know where they are going for their next 2 periods, then head off to your next class. 3:40-4:30 – Fifth activity period. At my camp this is a free choice for the kids that they chose during Oval time, and it changes everyday, so you will often find kids wandering around a bit lost because they’ve forgotten what activity they chose. In this case, take them to the office where you will be able to find out. 4:40-5:35 – R&R. This is free supervised time back in your living section for the kids. 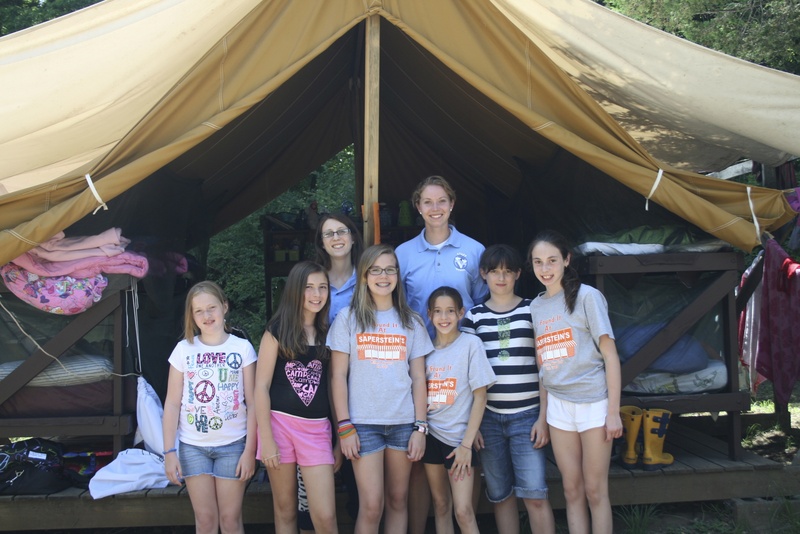 3 counselors will be on duty for every R&R, which means just watching out for the kids and (if you’re in girl’s camp) supervising showers – make sure the kids are in and out in a timely fashion and remind them to check for ticks! If you are not on duty you are free to go to the staff lodge or have a nap or go do something else fun! At the end of R&R you should send your waitress/waiter to the dining hall to set up for dinner. 5:35 – Eventide. This is a short little program where the counselors tell a story about themselves (or read a book, or tell a tale) to the rest of their camp (girls in one area, boys in another) that has a moral that can be applied to camp life. It should be something that makes the campers think and gives you a chance to talk about something special to you in a safe environment. My first tent group as a counselor! 5:50 – Everyone meets in front of the office. Lowering of the flag and any announcements. 6:00 – Dinner. Just like breakfast and lunch, you will sit with your kids family style and chat about any and everything that they did that day. 7:00 – Evening Activity. This will be something different everyday, and is usually done with just your living section/age group (there are co-ed nights once a week and all camp activities once or twice a week) but could range from a pool party, to a game of kickball and an ice cream social, to an overnight camping in the woods and making s’mores, to the kids dressing up the counselors in newspaper. 9:00-9:45 – Get your kids ready for bed, make sure they’ve brushed their teeth and used the bathroom. Tent chats (we call these Vespers) where you can discuss many a random thing with your campers, or just simply read them a story. 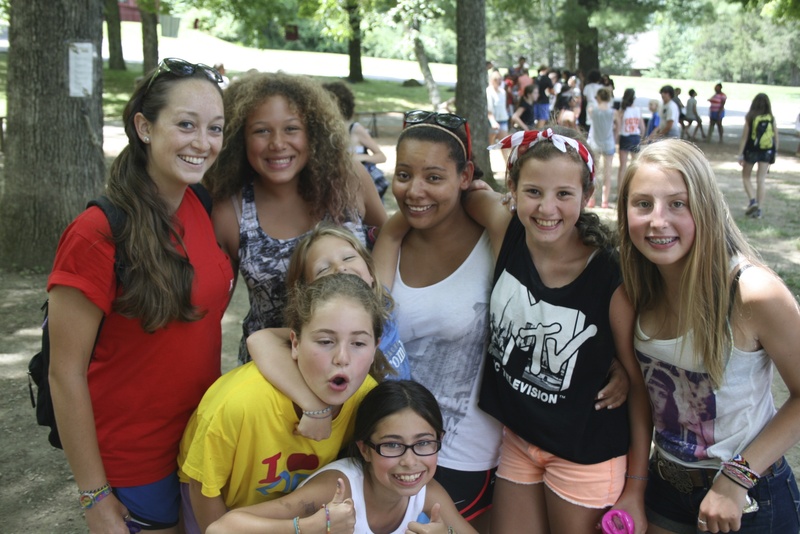 This is a time to find out what they are liking or disliking about camp – do they like their activities, is anyone being mean to them, are they homesick? Lights out (time depends on age group). 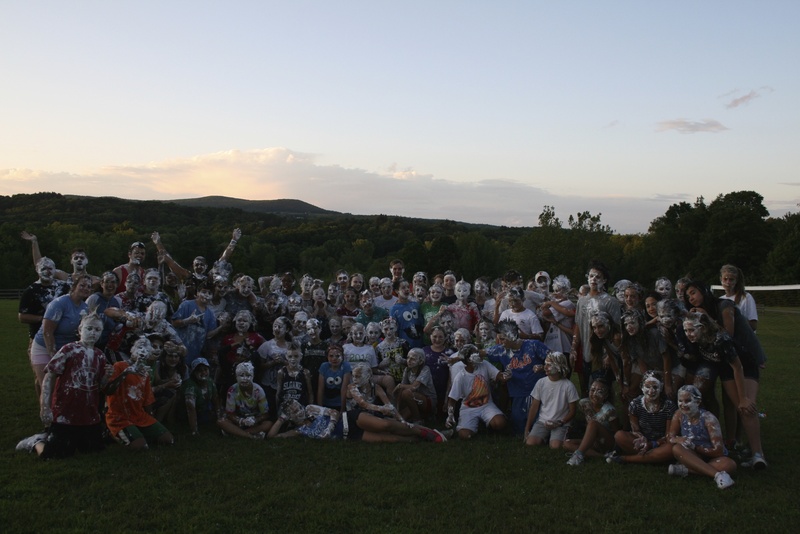 Your evening activity might involve shaving cream and a lot of screaming campers! 11:30 PM – Curfew. There is no leaving section after this time. My advice would be to get into bed and go to sleep as quickly as you can, because you’ll be doing it all again tomorrow!